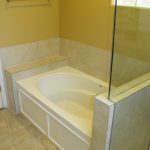 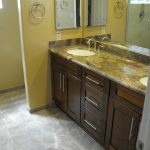 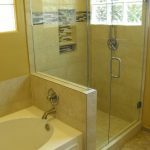 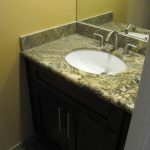 Scottsdale Arizona Master Bathroom Remodeling Project | Roadrunner Custom Remodeling, Inc. 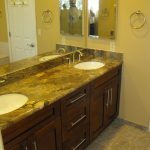 This Scottsdale, Arizona master bathroom remodeling project was a huge improvement on an otherwise boring and rundown bathroom. 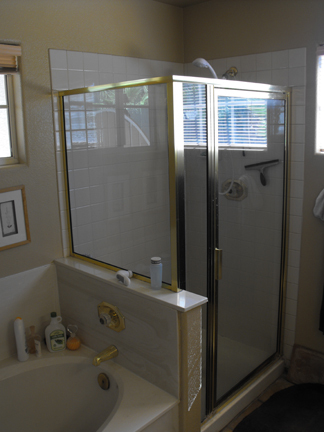 Everything came out, we left the bathroom footprint as-is, added new glass block windows, custom tiled the shower and bathtub area, built new solid cabinets, installed a stone countertop, custom tile flooring, new lighting and paint. 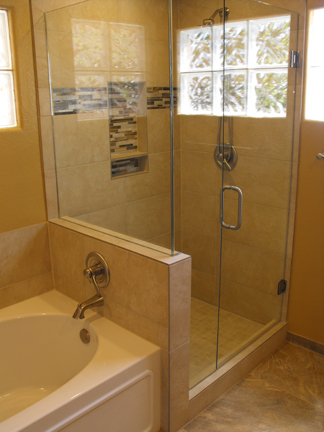 We remodeled this Scottsdale master bathroom to not only upgrade the home, but provide a tranquil place for these homeowners to relax.